Happy New Year! 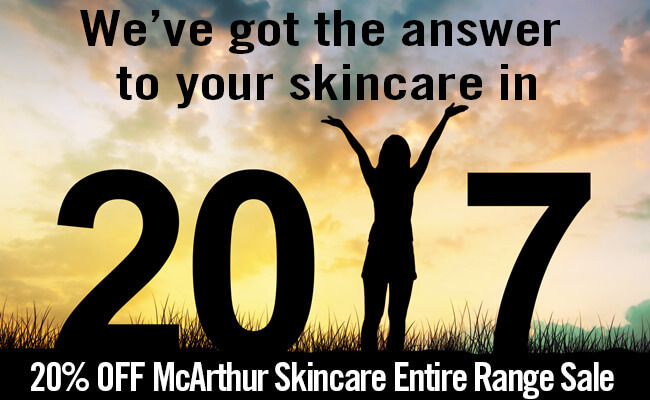 Welcome back to 2017 with a new and fresh look for McArthur Skincare – read all about our exciting changes below. To celebrate our new look, save 20% OFF the Entire Range of McArthur Skincare in our online store. As our products are proudly 100% Australian made, this sale offer expires at the end of Australia Day, Midnight (WST) Thursday 26th January, 2017. Take 20% OFF the entire range of McArthur Skincare in our online store by entering the coupon code: AUSTRALIADAY at the final stage of the checkout to receive 20% OFF your order. Not available in conjunction with any other offer. Save even more, with FREE Shipping on orders over $80 within Australia. 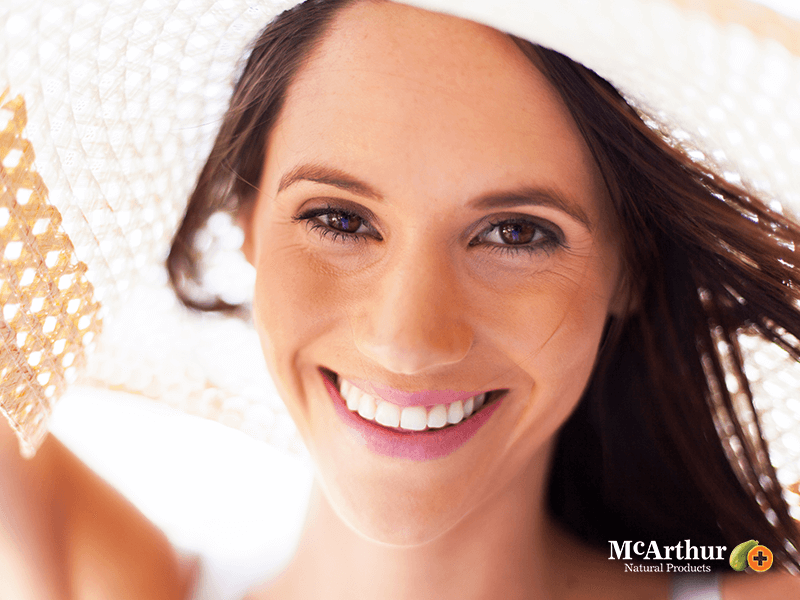 We’ve shortened our name to represent what we do, and so are now called McArthur Skincare. Same great cream, same friendly team. Brand new name, formula’s the same! Our logo has focused on the love heart shape within the pawpaw, to reflect the loving care and wellness benefits from our pawpaw skincare range, as well as the positivity and joy experienced by our customers. Our exciting news in 2017, is that McArthur Skincare will be expanding further to include a new Skin Moisturising Whitening Cream and a line of baby skincare products. Now of course, not everything could happen at all the one time, so the new brand refresh will be progressively rolled out across our product lines. So, McArthur Natural Products will continue to exist instore on shelf, until the stock transition is complete. At the same time, new marketing material will be made available to all leading pharmacies and health food stores who currently stock our range throughout Australia, to inform consumers of the brand refresh. The McArthur Skincare range of skin, body and hair care products all contain our unique McArthur Pawpaw Extract™. All of our products outline on their front label the percentage of our Pawpaw extract in them. This enables an easy comparison to discover that the products from McArthur Skincare have much higher concentrations of Pawpaw extract in creams than any other Pawpaw skincare brands. The enzyme-rich Pawpaw in McArthur Pawpaw Extract™ is excellent for cleansing and soothing, ensuring smoother, clearer, more supple skin, from the use of our beauty products. Our therapeutic range of products are listed on the Australian Register of Therapeutic Goods and each contain high concentrations of their natural active ingredients which have been traditionally used in herbal medicine namely; Aloe Vera, Chickweed, Arnica and Chamomile. With therapeutic products remember to always read the label. Use only as directed. If symptoms persist see your healthcare professional. We refuse to use petrochemicals, sulphates and parabens. Your wellbeing is at the heart of everything we do. If you would like to know more about our range, or give us feedback on any of our products, we would love to hear from you. Happy New Year and welcome to our first eNewsletter for 2016. In this eNewsletter we discuss ingredients you should avoid in your skincare products if you want to be kind to your skin and offer you a 25% discount on a selection of our products to help you get your skincare routine off to a good start. We also remind you about our new Facebook Fan of the Month competition. Your skin is the largest organ of the body and absorbs 60% of what you apply to it. For this reason, what you put onto your body matters just as much as what you are putting into your body. According to the Environmental Working Group, the average woman uses 12 “beauty” products per day, containing about 168 ingredients.1 That is a lot of ingredients being absorbed into the skin, and if you are not careful many of those could be toxic! Sometimes, these ingredients not only fail to nourish and soothe skin but can actually make it worse, leading to more wrinkles, fine lines, and dryness in the future. Is this what you want in your skin care? Parabens: Found in a variety of everyday products such as cosmetics, face cream and shampoo to name a few. Researchers in Japan say that methylparaben, commonly contained in a range of topical facial cosmetic products that are used on a daily basis, may cause skin to age prematurely when exposed to ultraviolet rays.2 Ironically, this compound can be commonly found in products designed to fight the effects of ageing. Researchers believe that these results mean a higher rate of wrinkling, dark spots and other signs of ageing such as diminished skin tone. Petroleum/Mineral oil: It comes from petroleum, and it forms a sort of film over the skin, clogging pores and hindering the skin’s natural ability to get rid of toxins. With extended use, it can encourage acne and actually irritate and inflame skin. The result is an aging effect that can make fine lines and wrinkles much more visible. At McArthur Natural products we strongly advise against using products containing harsh chemicals on your skin which is why our products contain no petroleum, parabens, added sulfates or any harsh chemicals whatsoever. We have introduced a new competition on our Facebook page which is called “Fan of the Month”. For January 2016 all you have to do is comment on a post of ours for that month telling us which of our products is your favourite to automatically go into a draw at the end of the month to win 2 products of your choice from our range for FREE (excluding packs). You have to be in it to win it, so if you haven’t already, like us on Facebook .